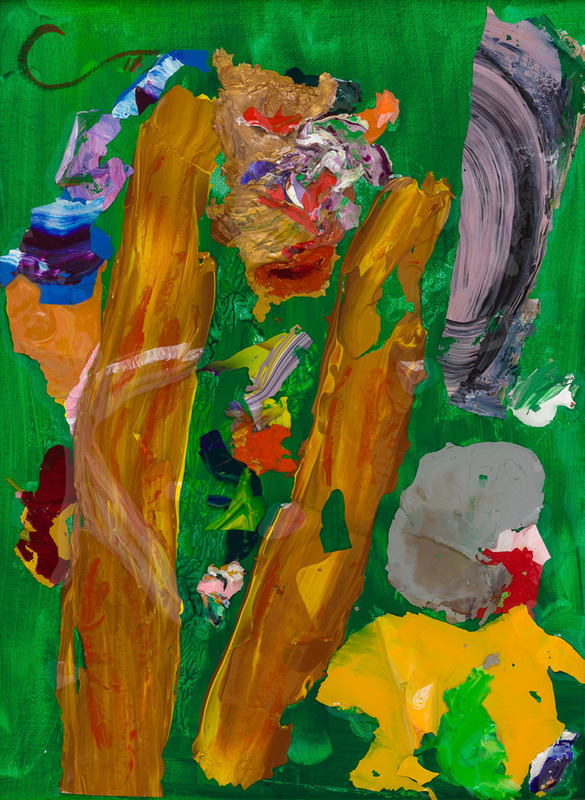 As this work was being developed, Cano began by pairing one of his favorite colors (a deeply-saturated green) with a medley of diverse tones and shapes to form this painterly potpourri. Next came a notable frame that combined satiny-gold surfaces with slender moldings in geometric relief patterns. It encompasses the green hues and yellow/orange plus violet/grey accents that he has built up around the strong design features toward the center, in areas animated by shaped acrylic skins. The ‘middle medallion’ serves as a reminder of the “necklace on a chain, that a woman might be wearing”. 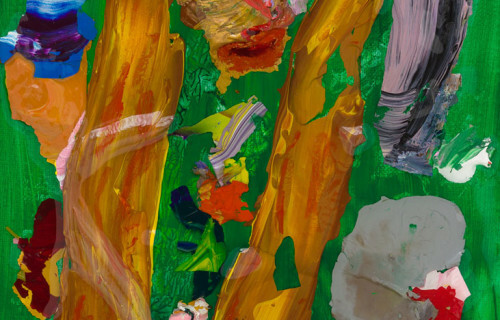 At the end he evenly epoxied the painting, which resulted in a luminous textural blending that also holds in place his abstract forms and colors. DIMENSIONS – 12 x 9"